A hapless young Viking who aspires to hunt dragons becomes the unlikely friend of a young dragon himself, and learns there may be more to the creatures than he assumed. 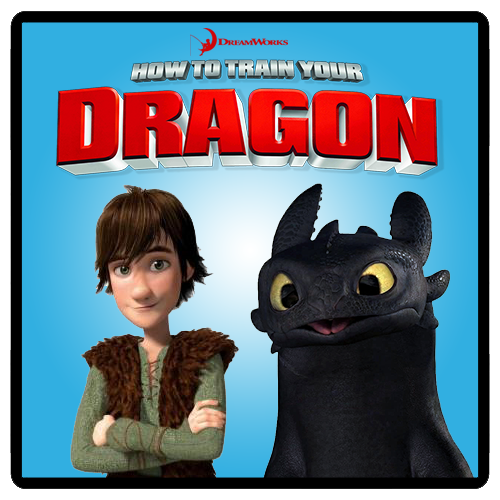 This deck contains 10 fact and trivia slides for the movie How to Train Your Dragon (2010). Though I would have used a different font to ease readability, this is a great set of fun facts. Another near flawless masterpiece, Really vibrant and I really like the use of the unique font. Highly recommended. I did notice a space of white between the black dragon's horns that needs to be cut out and the edges look just slightly rough. But honestly Japes, if you look at the slides I've done their a train wreck Keep up the great work!